Targa electric projection screen. 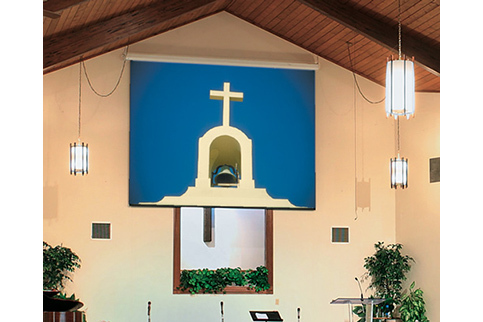 Ideal for auditoriums and lecture halls, hospitals, hotels, churches, boardrooms and conference rooms. The motor is mounted inside the roller, for a trim balanced appearance. Pentagonal steel case is scratch-resistant white polyester finish with matching endcaps. Think you have a better price? Call 888-248-0675 for the best deal.